Properties For Sale in Spain. Exclusive Properties For Sale in Spain. SpainForSale.Properties has the Best Selection of Luxury Real Estate For Sale in Spain: Villas, Plots / Land, Townhouses, Apartments & Penthouses, .. For Sale / Rent. Bargains, INVESTMENT OPPORTUNITY!, Properties for sale in Spain. Distressed, Reduced Price Property For Sale SpainForSale.Properties. Properties Sales in Spain | SpainForSale.Properties Luxury Real Estate For Sale & Rent. Properties Sales on the Costa del Sol, Spain | SpainForSale.Properties Luxury Real Estate For Sale & Rent. Properties Sales in the Balearic Islands, Spain | SpainForSale.Properties Luxury Real Estate For Sale & Rent. Villas Sales in Spain | SpainForSale.Properties Luxury Real Estate For Sale & Rent. Apartments Sales in Spain | SpainForSale.Properties Luxury Real Estate For Sale & Rent. Townhouses Sales in Spain | SpainForSale.Properties Luxury Real Estate For Sale & Rent. Plots of Land Sales in Spain | SpainForSale.Properties Luxury Real Estate For Sale & Rent. Best Priced Properties Sales in Spain | SpainForSale.Properties Luxury Real Estate For Sale & Rent. New Developments Sales. | SpainForSale.Properties Luxury Real Estate For Sale & Rent. Are you looking for good properties for sale in Spain? Whether this is your first foray into property investment or you are a veteran investor SpainForSale.Properties property specialists has the wider variety of the best properties for sale in spanish “Prime Locations”. To find the best properties for sale in Benahavis, please, take a look at our available portfolio of properties for sale in spanish “Prime Locations”. We will identify your needs and find the right property tailored to your budget and your needs, saving time and money. Our mission is also our passion: Offering buyers worldwide the biggest listing of the more luxurious finest Properties For Sale in the best locations of Marbella and the Costa del Sol’s jet resort city in Spain (Benahavis, Estepona,..) and other “Prime Locations” in Spain with incredible reduced prices property opportunities, helping our clients selling and buying: Real Estate & Investment Brokerage. If you are looking to invest in Property: purchase a luxury Villa or Luxury Apartments For Sale in Marbella, a stunning Seaviews Plots For Sale in Marbella to develop, a first line beach penthouse, townhouse or country property in and around these exclusive locations please, take a few moments to browse thought @SpainForSale.Properties, to view our database of continuously updated properties. Properties For Sale in Spain. | SpainForSale.Properties. SpainForSale.Properties has wide selection of Luxury Properties For Sale in Spain. The more interesting Plots For Sale. To find out more about any of the properties for sale in spanish “Prime Locations”. Please, submit an enquiry through the contact form or call a number you will find on the property details page. Latest Featured Exclusive Properties For Sale in Spain. | SpainForSale.Properties. If you are looking to buy properties for sale in Spain. Please Contact any of SpainForSale.Properties professional Real Estate Agents and we will be delighted to assist you further. You can also use SpainForSale.Properties comprehensive property search on the top of this webpage and extend your search to find the perfect sea views Properties For Sale in Spanish prime locations. You will find a selection of excellent properties offered at a very attractive prices. Bargains, distressed and reduced properties for sale in Spanish Prime Locations. Just select our filters to display only the properties that best fit your needs. SpainForSale.Properties is considered one of the most trusted Exclusive Real Estate Agencies in Marbella, Costa del Sol and other “Prime Locations” in Spain. Our properties for sale portfolio features the most distinctive properties: from hotels and land to develop to luxury mansions, apartments or villas for sale in Marbella, La Zagaleta, Nueva Andalucia, Los Flamingos, Sierra Blanca , Los Monteros to Marbella Golden Mile, Guadalmina Baja to Plots/Land for sale in & around Marbella or Luxury Apartments For Sale in Puerto Banus. Investments in Sotogrande, Madrid, Barcelona and Balearic Islands. Our mission is also our passion: helping our clients selling and buying: Real Estate & Investment Brokerage. 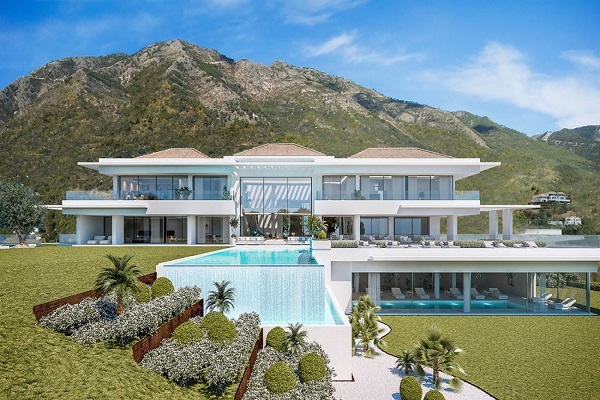 If you are looking to invest in an exclusive Property: purchase a luxury villa or apartment, a stunning seaviews plot to develop, a first line beach penthouse, townhouse or country property in and around these exclusive locations please, take a few moments to browse thought @SpainForSale.Properties, to view our database of continuously updated properties. | SpainForSale.Properties Luxury Real Estate For Sale & Rent.